Transforming that dream pair of diamond or gemstone earrings into tangible pieces to wear and cherish requires exquisite stones and a master craftsman’s touch. Put our master jewelers to work by tasking them with creating that perfect pair on your behalf. 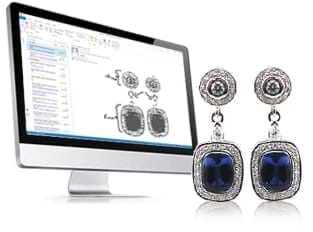 Click here to find out just how easy it is to design your own earrings. Explore our stunning ready made earrings. Choose from classic and elegant studs to dazzlingly hoops & drops and everything in between. If inspiration is holding you back from designing your own earrings, explore our design ideas section to get those creative juices flowing!